A greenhouse, built correctly, can produce fruit and vegetables for many decades. 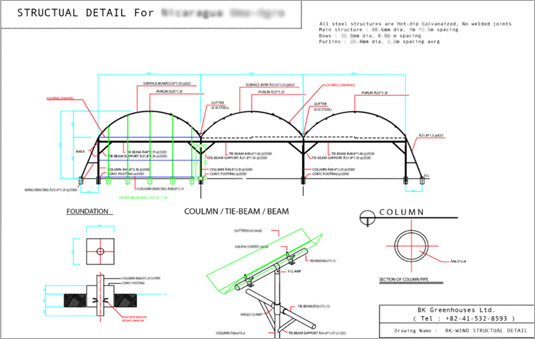 Every detail can affect the annual productivity of the farm, and it is therefore important to get the initial design right. 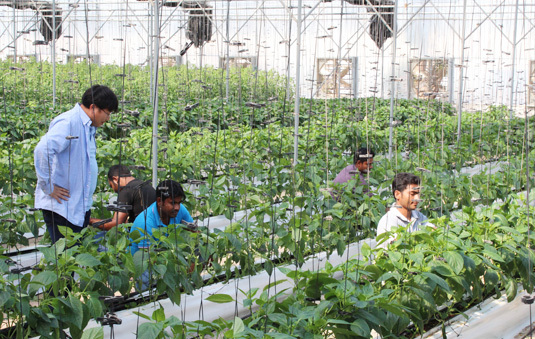 Upon receiving the customer inquiry, experienced engineers and agronomists design the optimum greenhouse layout according to the expected flow of workers’ traffic. 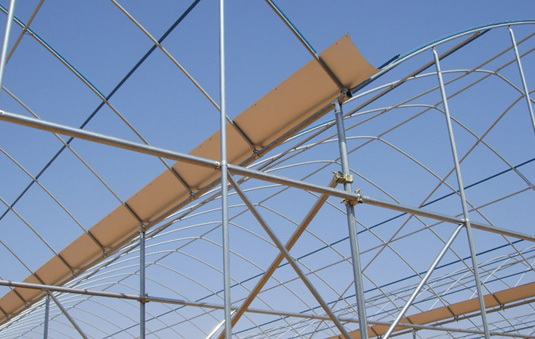 We analyze conditions such as landscape, trajectory and duration of the sun, wind and climate to ensure your greenhouse will perform at the optimum level. The cultivation system will be designed depending on the type of crops the farmer is willing to harvest. There are many aspects to consider when constructing a greenhouse, including electrical connections, irrigation settings, digging/installing underground water tanks, and setting up automated hydroponic systems. 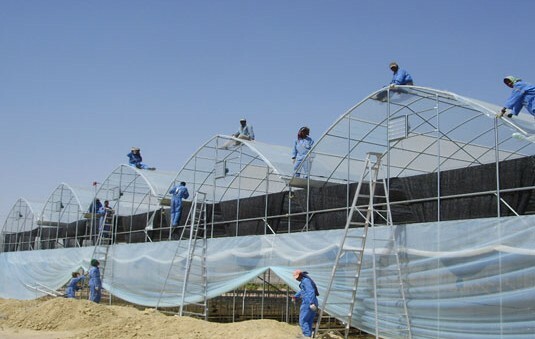 BK Greenhouses offers skilled engineers and supervisors and who can assist in building greenhouses in a systematic way. Due to the increasing number of post-delivery farm operation, BK Greenhouses can recommend the best service based on its network around the world. This service is ideal for customers who are new to agriculture or wish to improve their knowledge of BK Greenhouses’ systems. A turn-key service is also available for customers in certain areas, who want BK Greenhouses to execute all aspects of the building process. 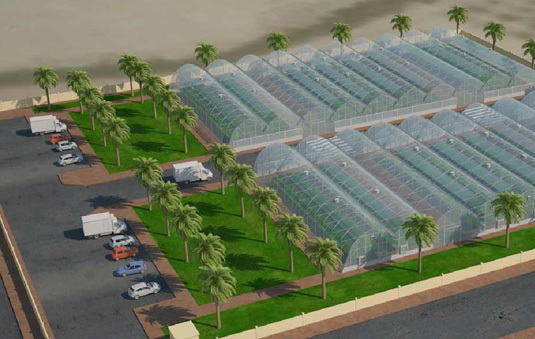 BK Greenhouses will provide services related to the actual construction such as labor arrangements, ground-work and so on. We have skilled engineers and agronomist to train the users of BK Greenhouses. After finishing the implementation of the greenhouse, agronomists and engineers can be sent to your site for “on the job training”. They will teach the proper way to grow vegetables on hydroponic systems. 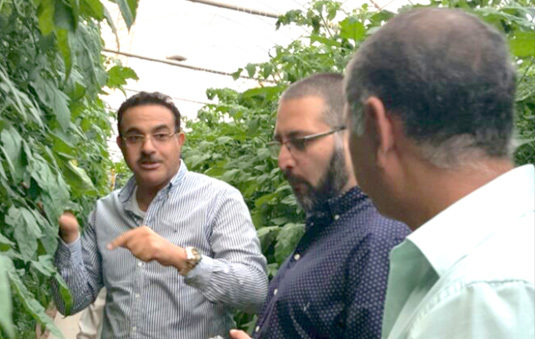 In addition, BK Training Center, located in Bahrain, offers a variety of training programs for university students, beginner farmers, experienced farmers and investors. The training rooms are built in the middle of the BK Hydroponics Center so that the trainees can access all products and facilities of BK Greenhouses during their training program.